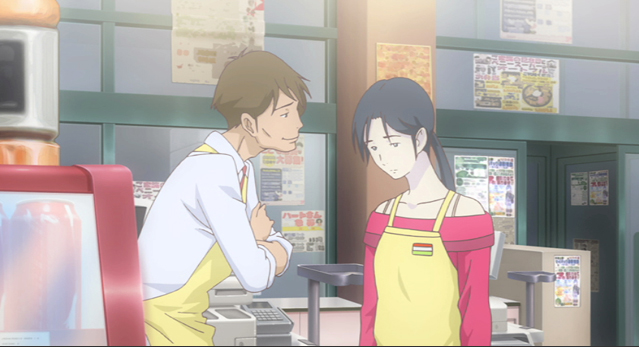 A character from the Otona Joshi no Anime Time project. The Spring 2013 anime season will be here in just a few weeks, and that means those of us hangin’ ’round the abandoned factory are looking ahead to predict the greatest anime of the upcoming season, as well as picking a few others to keep an eye on. It is also our tradition to point you to other sites if you want a comprehensive analysis of the new season, since we only look at the good shows, and don’t waste our time on the rest. For those interested in seeing the entire season’s offerings in one place, you can take a look at the Spring 2013 Chart at Neregate. For those looking for a reasonably complete listing, but with more commentary, including a subjective ranking of all principal offerings, PSgels’ post at Star Crossed Anime is always worth reading. The Spring 2013 season looks pretty interesting compared to Winter 2013. There are intriguing entries in several categories. Of course we’ll have to see how these shows turn out, but the following shows have some potential. 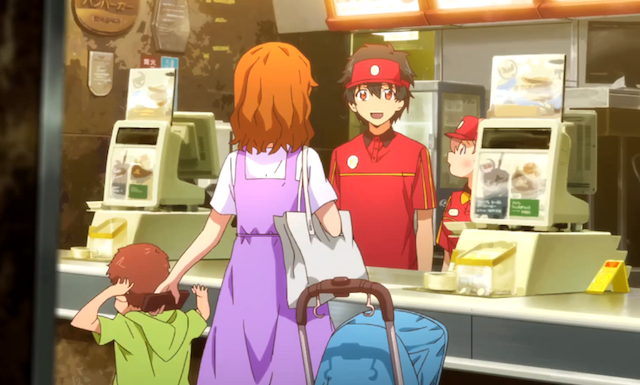 The Demon King works at McDonalds. Just as the Demon King was about to make his control over the world absolute, the hero opened a portal to another dimension and banished him. Haven’t you ever wondered what happened after that? As it turns out, the dimension the Demon King was banished to is our own. Since he can’t use his magic here, he needs to start all over, and gets a part-time job at McDonalds. But his desire to rule over everything is undiminished and so he sets out to rise, from fry cook, to shift supervisor, to assistant manager, then (skipping a few levels) ruler over the whole world! Mua-ha-ha-hah! The Yamato, a legendary battleship is pressed into service once more. 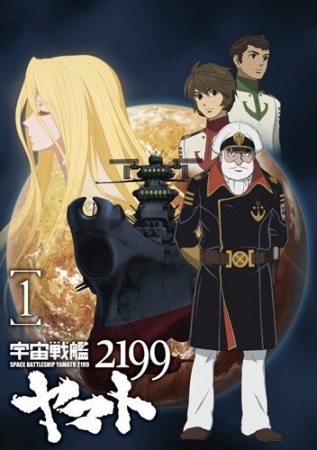 Space Battleship Yamato 2199 is the relaunch of one of the series that got me hooked on anime as a kid, in English it was called “Star Blazers”. This new version could be quite good, as folks like Yutaka Izubuchi are involved. Searching for a distant star, heading off to Iskandar; leaving all we love behind, who knows what dangers we’ll find? Three stories about older women who have doubts about the direction their lives have gone. Each show will be 50 minutes and is independent of the others (though thematically related), with different animation styles. This series of shorts follows a very successful first installment broadcast in January 2011. That story was about a woman who left the small town she grew up in, but later questions the choices she made. It got into some interesting stuff, like eating disorders and infidelities. Essentially this project is something like what Noitamina started out being: serious stories made for a non-traditional anime audience. One interesting aspect of these shows will be the casting; each show pairs well-known male seiyuu, such as Hiroshi Kamiya and Jun Fukuyama, with female actresses who aren’t known for their anime work, but rather their work in film. It will only be about a half course worth of anime, instead of a full series, but I am very much looking forward to seeing more of this interesting project. Red Data Girl in traditional Miko hakama. 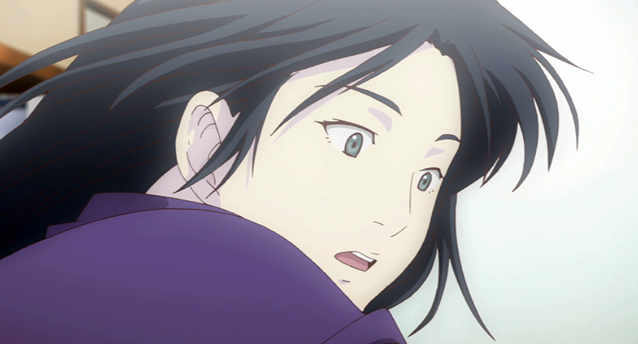 This show is possibly a supernatural thriller combined with school life. 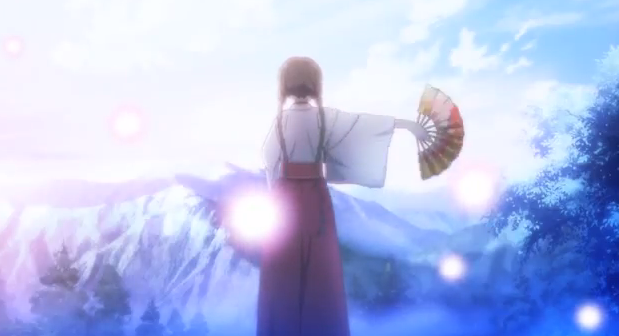 We have a miko (Shinto temple maiden) who discovers her family has some sort of mysterious secret. Not the most original concept (Blood-C and Hiiro no Kakera both fit the description). The animation is by P.A. Works, who can make things look good, but I tend to think their shows are lacking in substance. Nevertheless it’s worth a three episode taste test.